Biscornus seem to have exploded in popularity over the last few years. 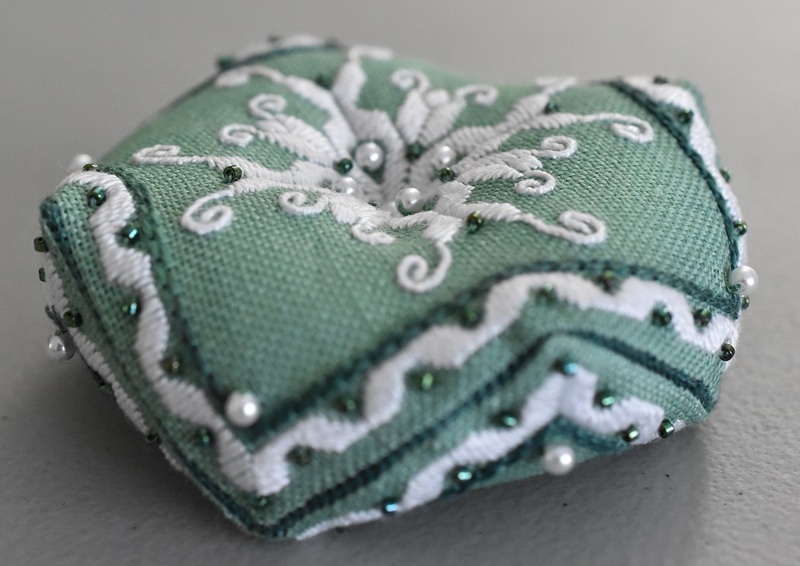 For those unfamiliar with these strange needlework creations, a biscornu is essentially an eight-pointed pillow made by stitching together two offset squares of fabric. They are primarily used as pincushions. Since I’d never made one before, and I have done very little actually embroidery (I’m mostly a cross stitch girl), I decided to take a Punto Antico biscornu workshop at the Creativ Festival. 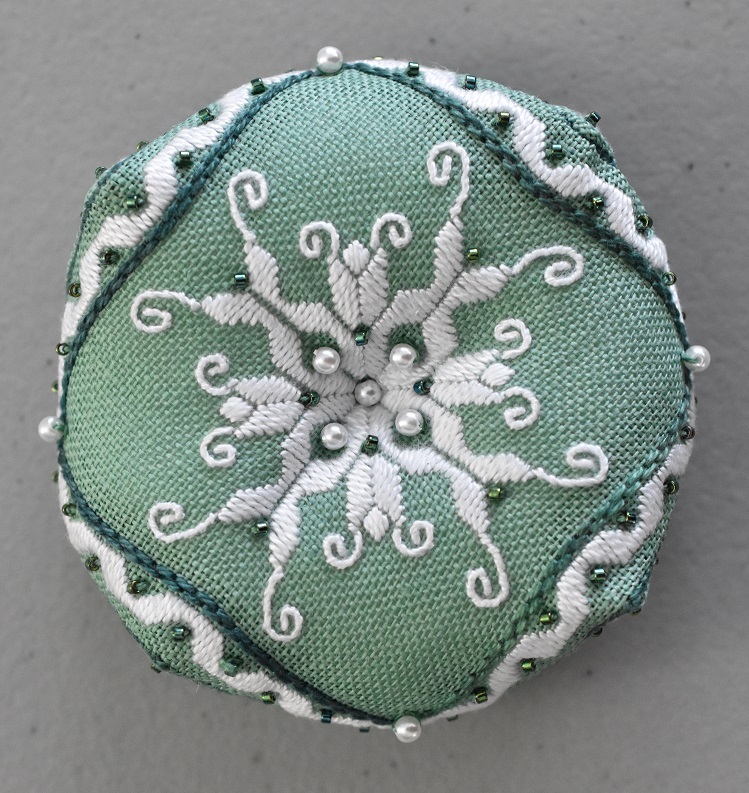 The workshop was taught by Kathryn Drummond, the designer behind Gingerbread Girl Designs, and an active member of the Embroiderers’ Association of Canada. The project in the workshop was Kathryn’s Lilies Biscornu pattern. Here’s my final result. For a first attempt at Punto Antico I’m pretty pleased! I’m not always great with the finishing end of my stitching projects. Many of my stitches end up stuffed in the cupboard in an unframed or ‘this was meant to be a pillow cover, but I don’t really sew’ state. It was a refreshing change to stitch something where the finishing was as simple as whipstitching together two backstitched borders. No additional materials or skills required. I can see why biscornus are so addictive! However, a girl only needs so many pincushions. (In my case that number is zero – I use the magnetic dish that came with my screwdriver set and love the heck out of it). If any one has any innovative uses for these neat creations I’d love to hear about it!